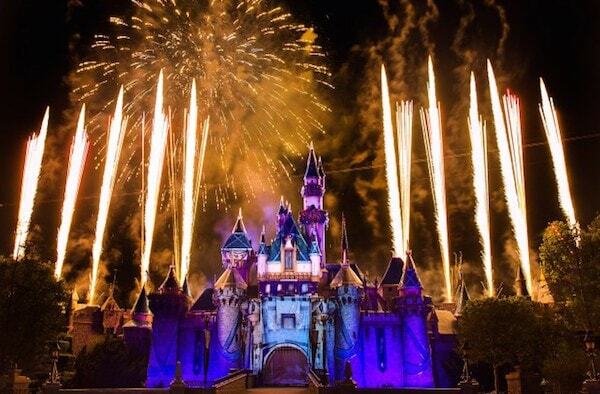 Disneyland has been creating and putting magic into the world for six decades. To celebrate, they’re filling the sky, painting the walls, and even splashing the scene with diamonds. I was able to attend these events as part of a press junket sponsored by Disney. All thoughts and opinions shared on this blog are my own. This was my very first trip to Disneyland so I’m now completely spoiled. 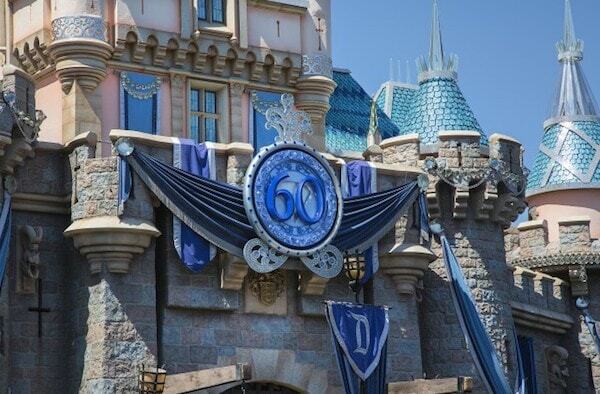 The Diamond Celebration is absolutely gorgeous, exciting, and worth waiting 60 years to see. 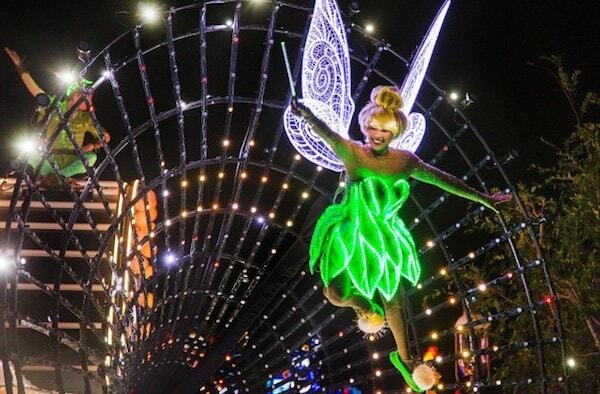 This is the first ever all LED (with the exception of Tinker Bell’s wand and Rapunzel’s flickering lanterns which use incandescent lights) parade that illuminates the park with more than 1.5 million sources of light. 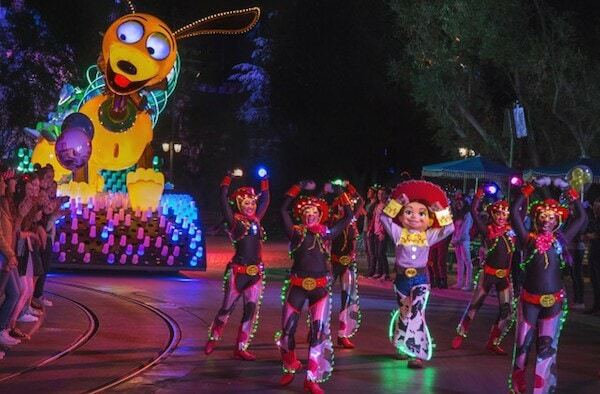 Telling eight different stories with light, music, and live action, this parade took several years to design. The floats alone took three years for the design and technical teams! “Paint the Night” requires more than 200 “universes of control” to operate everything from the video presentations on the floats to the lights on the individual costumes. The Tinker Bell float design includes a tribute to the “drum unit” that led the classic “Main Street Electrical Parade” from 1972 to 1996 in Disneyland. Tinker Bell’s wand is handmade and is capped by a rosette from the original 1972 Main Street Electrical Parade. The five animated doors on the “Monsters, Inc.” float are just over 9 feet tall and contain 40 individual LED video panels. Custom automation programming allows the doors to act as individuals or as a group. Almost 2,000 feet of LED ‘neon’ is used in the “Cars” unit. The Little Mermaid float contains nine fish, eight flowers, and more than 250 blades of grass. The “Toy Story” float is 32 feet long, and Slinky’s ears are 18 feet tall and 11 feet across. The “Frozen” float is almost 35 feet long and 30 feet tall. Mickey ‘conducts’ the finale of the parade from 12 feet above the street. These are by far the best fireworks I’ve ever seen. Being from Chicago where we have the famed Navy Pier fireworks show–says something. These are expertly choreographed with music, a storyline, and additional lights and holographs. Depending on where you stand in the park, you’ll have a different experience. There’s literally not a bad spot to sit because each angle was planned. This water show shames all other water shows. Featuring Neil Patrick Harris and the one-and-only Mickey Mouse as hosts, this nighttime presentation takes everyone watching on a journey through Walt Disney’s imagination to see how all his dreams came true. Have you ever been to Disneyland? What would you want to see most? I would have been 7 years old when Disneyland first opened. I’ve only been there once since. The Parade of Lights and the fireworks and water show look amazing. I think I would want to see the Fireworks – the picture of the Fireworks display itself is amazing. 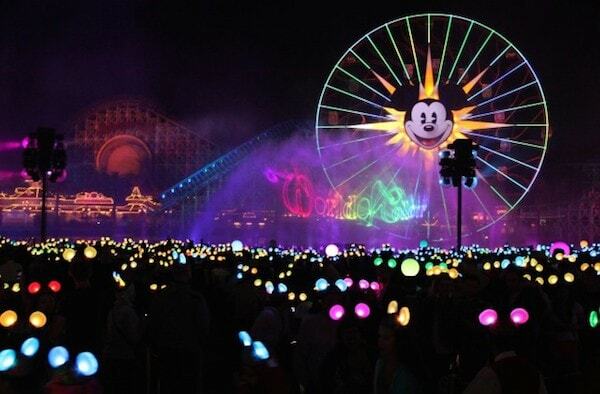 I’ve never been to Disneyland and I would love to see everything! I would most like to see the parade & the fireworks though. What a celebration, thanks for sharing!